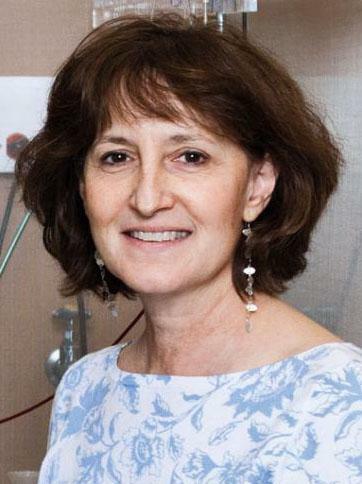 Dr. Julie Kauer, recently named the Fellow of the American Association for the Advancement of Science and a Professor of Medical Science at Brown University, was the guest speaker at this year’s 3rd Annual Jack Diamond Memorial Lecture. Her talk, “Stress modifies synaptic plasticity in the brain reward pathway”, was well-attended by the faculty members and graduate students of McMaster University and highlighted the role of inhibitory synapses in stress-induced cocaine-seeking behaviour. Throughout her visit, she met with faculty and students to talk about research and took some time out from her busy schedule for an interview. Tell me a little about your undergraduate journey. What got you interested in the sciences and then later, research? It was since I was a child. My father is an organic chemist, so it was normal to see a parent going to the lab for their job. My dad encouraged me throughout my career and it is really fun for him to still talk science with me. He is fascinated by the world and approached things with questions and curiosity. I think that’s where I first developed scientific curiosity. Maybe I wasn’t aware of it as a child, but I think that played into it later on. When I went to Swarthmore College, I didn’t really know what I was going to major in. I ended up being a Psychology major and took as many Biology courses as I could, but I suffered through chemistry even though I didn’t want to. During college, I realized I really liked Neuroscience, but they didn’t have the program at that time. So, I didn’t know what area of biopsychology I thought I’d pursue in graduate school. This is why I planned to take a couple of years off afterward and find a lab to work in. In my senior year at college, four professors came over from the University of Pennsylvania and taught a neuroscience course and I realized that is what I wanted to study. During the time I took off from school, I worked in a wonderful lab in Colorado where we were studying central pattern generators in the spinal cord of chicks and trying to understand what happened to this generator. These pattern generators are groups of neurons that control motor behaviours such as walking, jumping or hacking in the case of a chick. My boss at the time, Anne Bekoff, was fantastic. She was trying to understand what happened to the hatching pattern generator after the animal hatched out of the egg. My project looked at what happened to the leg movement pattern generator, used to hatch an egg, after the hatching occurred. Was it silent? Or used to jump or hop? Those were the first papers I published. This experience taught me the importance of asking a simple question I could get an answer to rather than tackling an extremely complicated question to which I couldn’t get a very satisfying answer. Everyone works at the level that they are very comfortable working at. For me, I tend to be very reductionist – much more comfortable at the cellular level. In doing so, I do hope our findings hold a translational value. Tell me about your graduate career. How or why did you pick systems neuroscience and the basal ganglia? I joined the pharmacology program at Yale to study schizophrenia. The lab I worked in for a year used a rodent model to answer a complicated question that I felt we couldn’t get a simple answer to. So, I decided not to pursue this line of work. At that time, I jumped ship and said I wanted to work on the simplest system that I could find. What I ended up doing in graduate school was completely different. In graduate school, I learned electrophysiology in the C. slug, which is a really simple animal that has 20, 000 neurons and you can see them with your naked eye. It was an excellent experience. Len Kaczmarek is a fantastic mentor. He was an Assistant Professor and was just starting his lab. He had a lot of time then and taught me a great deal. I really learned how to be a good electrophysiologist. He is like my dad in the way that he is really curious about the world and what happens in the lab and is excited about it. It was fun to work in his lab. I had a great time. I’ve been really lucky in having great mentors. We were working on a neuropeptide system involved in egg-laying behaviour in the animal. What is interesting to me about the neural aspect of it is that these neurons, that released the egg-laying hormone, go through firing for about 30 minutes then they go into a quiet state for 24 hours. The animal, in response to the release of peptides during this burst, goes through an egg-laying behaviour that is quite a complicated behavioural sequence. The point of it being in a quiet state is to allow the animal to go through the egg-laying behaviour without having to worry about releasing peptides for a while. What I was really interested in was the fact that the neurons were excitable for about 30 minutes then they were really unexcitable. What that got me interested in, and what I’ve remained interested in until now, is how neurons change their state of excitability. How do we make long-term changes in the nervous system? What are the mechanisms underlying these changes? Let’s talk about your lab work. What are some of the big questions that you are trying to answer in your lab? My lab does not study stress or addiction, but synaptic function, especially long-term synaptic changes that underlie all kinds of important adaptations to the environment. Our studies in the Ventral Tegmental Area (VTA) are just one example of what we do. We also have other interests as well. We work in nociception in the dorsal horn of the spinal cord. We have worked in the hippocampus and a number of different brain areas where experience-dependent plasticity occurs. One of the things that drew me to the VTA was the fascinating observation that synapses change after a single exposure to a drug of abuse. That is really interesting. Then we just followed the research where it led us. Following on what we have been talking about, there are a few things we need to do in the VTA. There are multiple GABAergic inputs to this brain region. Along the way, we have become interested in these other GABAergic inputs to the VTA and what they do. One of my graduate students, Robin St. Laurent, is involved in this line of work. We also know that on average, we could see potentiation and that in vivo stress blocks it 24 hours later for example. But, we don’t know which of the GABAergic pathways coming into the VTA is the potentiating one or the one affected by stress. We really need to know this to understand the circuit affected. Now that we have this lead with the kappa opiate receptor drug, we can take this further. Dynorphin is the endogenous peptide that binds to these receptors! We don’t know where this dynorphin comes from or under what circumstances. I want to know what neurons release this peptide using optogenetics. That is our next step! The simplest implication of the work that we are doing right now is if we give rats an inverse agonist for kappa opiate receptors before or after they are exposed to stress, it changes how their VTA synapses function. It also changes stress-induced reinstatement of cocaine-seeking behaviour. I don’t know if they are identical as we don’t know all of the things that an inverse agonist does but, our evidence suggests that this could theoretically be something that could be used to treat stress-induced relapse to addiction. Do you think there are parallels between animal and human studies? Of course, I think so. Animal models of addiction to drugs is one of the better animal models for any psychiatric disease. Animals will self-administer any drug that a human will and not other drugs that humans won’t. They find them reinforcing so I think it is a very good model. One of the biggest problems is clinicians like to study how to prevent relapse, and when using animals, you can’t ask whether they are addicted or using the drugs for fun. In humans, you can question this difference. In animals, somewhat analogous is pairing a foot shock with the reinforcing stimulus and seeing how much they are willing to take; but, it’s not the same. The changes in the rodent’s brain are very likely to be those that occur in the human brain. What is your favourite synapse or brain region to study? I get interested in different things about every 7 years, so it is whatever is exciting me at the moment. Some of them are easier. The hippocampus is great because it is easier than some of these other brain regions. The spinal cord is the most challenging – it is one of the most recent ones we have started. I wanted a new challenge that was different. I’d never worked in a sensory system where I knew what the system was actually doing. This is in contrast to the hippocampus, the VTA or the nucleus accumbens, where we have no idea what the system is actually doing as there are millions of inputs and outputs. These brain regions are in the middle of the brain and are doing something very complicated. The sensory system is simpler! We know that in nociception the pain-sensing neurons in the periphery are feeding in information to the dorsal horn before it is projected. We have some idea what the function is so that has been fun in that way. I am really not answering your question because I like lots of different circuits. I like ones that potentiate or depress in a persistent way. That’s what I like – it’s the answer! Dr. Kauer’s journey teaches us as young graduate trainees to ask simple questions, be flexible in our research and not be scared of change – an integrative, translational repertoire is part of the journey. Let your research lead the way. Thank you for your time, Dr. Kauer! May 16th, 2019 in MDCL 1102 @ 3:00 pm. Please mark you calendars! We hope to see you there.